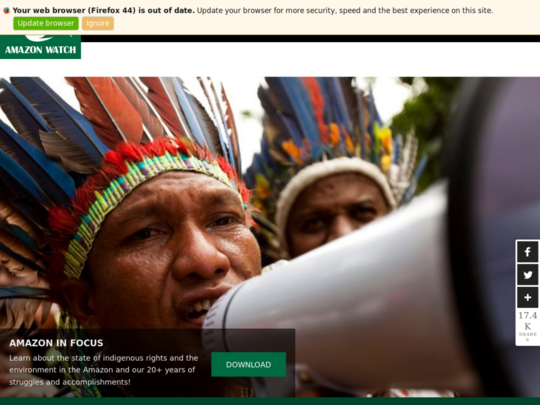 Title: AMAZON WATCH » Supporting indigenous peoples. Protecting the Amazon. Description: Supporting indigenous peoples. Protecting the Amazon. Do you want access to more information about this domain? We offer powerful APIs for website categorization, screenshots, and domain information.